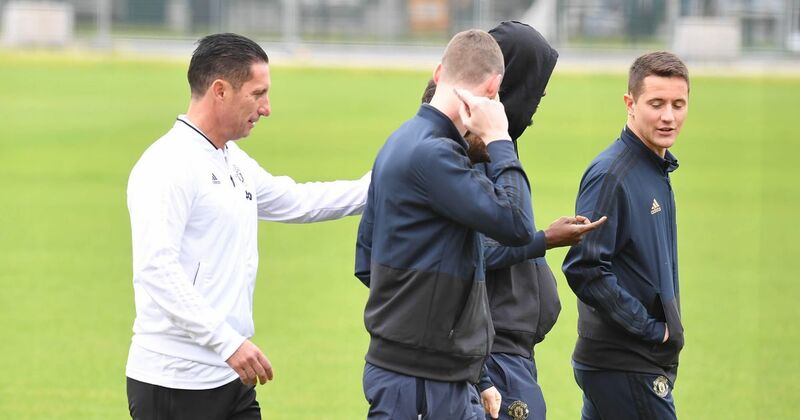 Manchester Evening News – Manchester United players have taken part in a gentle warm-up at Old Trafford cricket ground as they prepare for their fixture against Paris Saint-Germain. Manchester United players have taken part in a gentle warm-up at Old Trafford cricket ground as they prepare for their fixture against Paris Saint-Germain. Ole Gunnar Solskjaer’s side were pictured putting the finishing touches to their match preparation as they underwent a gentle session on the cricket pitch before the Champions League fixture. United’s first team players were joined by coaching staff at the cricket ground as they took a walk and went through some gentle stretching on Tuesday afternoon. Photographers pictured the squad walking around the cricket pitch as they underwent their final training session ahead of the match at Old Trafford later on Tuesday night.